EXTRA-LARGE EMROIDERY AREA – When it comes to embroidery, bigger is usually better. That's why the B 700 offers lots of elbow room for added flexibility and comfort when embroidering. Embroider designs up to 400 x 210 mm with 10 inches to the right of the needle, and using the optional Maxi hoop, which is available as an option. Free, 6-hour, in-store, classes with purchase of each Bernina machine taught by certified a Bernina Instructor. Ask your in-store associate for details. 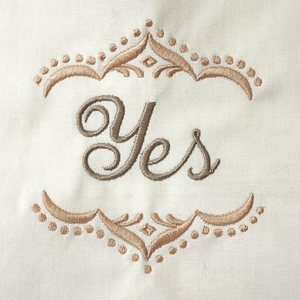 embroidery designs. Complex combinations can even be resequenced according to color, and alternative color options can be reviewed before stitching out. The finished design can be saved directly on the machine or a USB stick. What’s more, additional designs can be imported to the machine via the USB port. And the Check function lets you position the design precisely before embroidering. The remarkable, easy-to-use optional embroidery module with especially large embroidery area, three hoops, and the multiple spool holder come as standard when adding the optional embroidery module . When it comes to embroidery, bigger is usually better. That’s why the B 700 offers lots of elbow room for added flexibility and comfort when embroidering. Embroider designs up to 400 x 210 mm with 10 inches to the right of the needle, and using the Maxi hoop, which is available as an option. 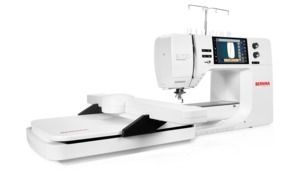 The B 700 offers effortless, fast and immaculate embroidery results. 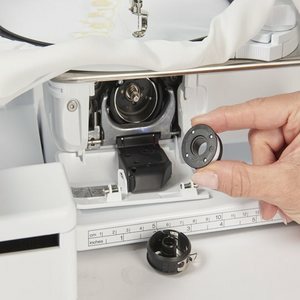 Achieve flawlessly clean embroidery with the Thread Away Mode, which is a swift movement of the hoop that pulls the top thread tail up and out of the fabric after cutting. Achieve brilliant embroidery results thanks to the new Invisible Secure function, which makes the tie-on/off formation completely invisible. The Smart Secure function adds tie-on/off stitches if none are pre-programmed. Set the cutting of jump stitches at every length; no more manual trimming. The new Thread-up Command function is easily accessed on the front of the machine. It brings the bobbin thread to the top of the fabric at the start of stitching leaving the underside of a project beautiful and clean. 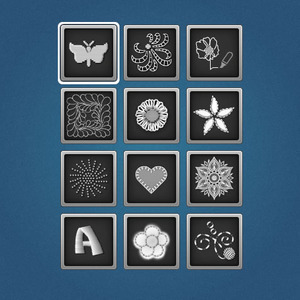 Get perfectly placed designs with Pinpoint Placement. Simply select two points on the screen, match them with the markings on the hooped fabric, and align, rotate or resize to fit as desired. Have full visibility of the hooped fabric at all times, no additional tools needed. 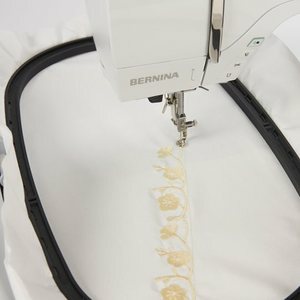 BERNINA 700 Tutorial: Pinpoint Placement. 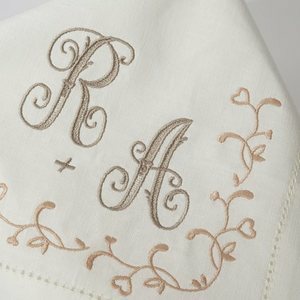 Simple, perfect, beautiful embroidery every time! Learn everything about the remarkable Pinpoint Placement function in this easy-to-follow video tutorial.